We’re starting early next year to help home buyers in 2015. 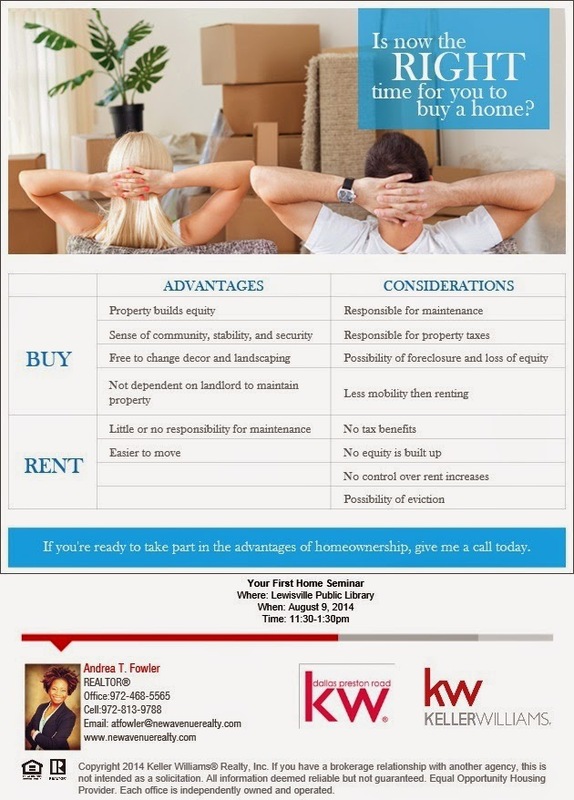 If your lease ends January, February, March, or even April, you should attend this event. 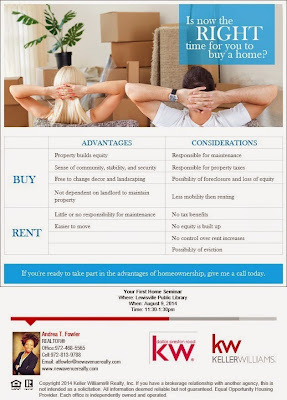 If you’ve been on the ledge of wondering if you should renew your lease or purchase the home, you do not want to miss this event. If you’ve outgrown your first home and want to move-up to a bigger home, this event is for you. If the children have moved away and the home is too big for you, this event is for you. The year 2015 is the year of achieving all visions and goals. Is home ownership on the board? After this event on January 3rd, it will be. For more information about this event, please contact me via email or 972.813.9788. If you are interested in learning more about financing before this event, contact Crystal Parkinson via email or 214.316.4442. No question is too small to ask. See you on January 3rd! 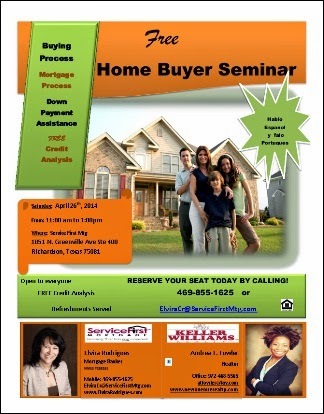 YOUR FIRST HOME SEMINAR – AUGUST 9TH!!! Let’s talk…is now the RIGHT time for you to buy? 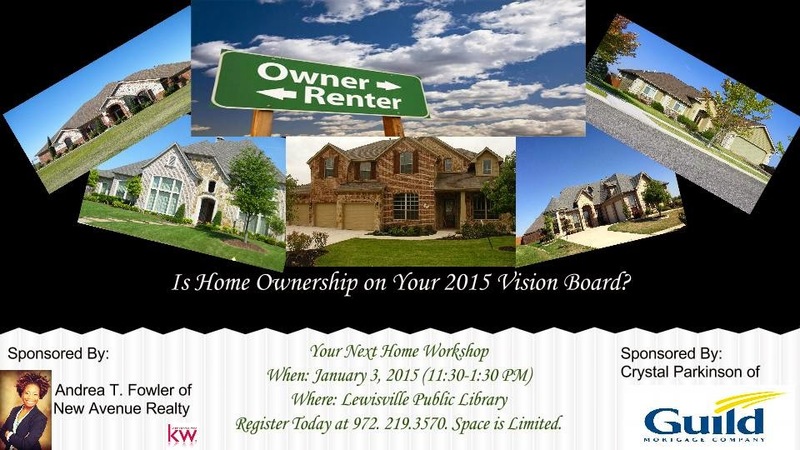 Don’t miss the chance to join me for my upcoming seminar at the Lewisville Public Library!! !